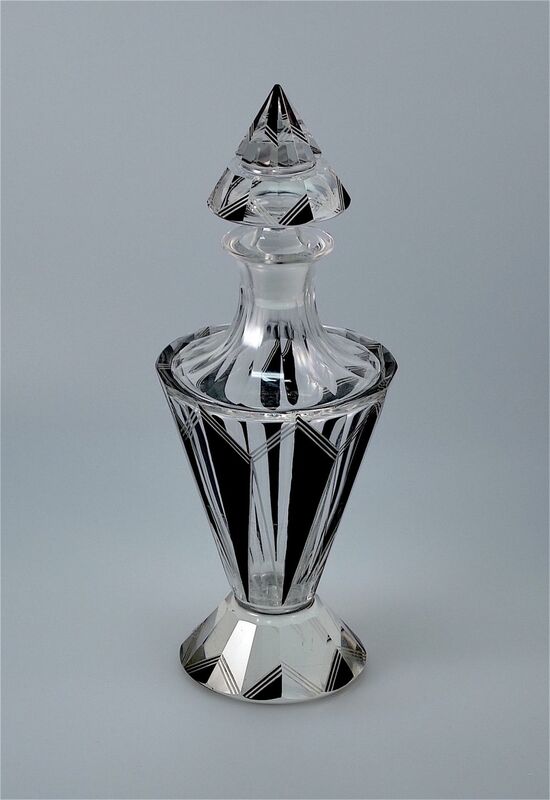 This superb decanter was made in the Art Deco period and probably in Czechoslovakia. It has a large faceted foot with incised lines and black enamel leading to a 15 sided bottle with 7 kite shaped designs with incised edges, half of each kite shape being black enamel. The shoulders comprises 15 facets that sweep up from the bottle to the lipped top. The stopper has a large split pyramid shaped top that has an incised and black enamel geometric pattern.